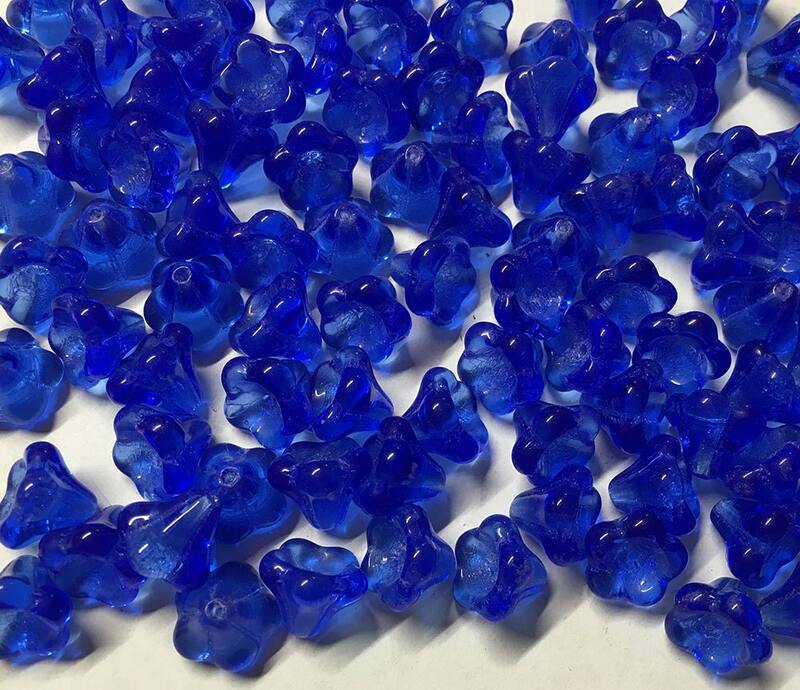 Striking sapphire blue large 5 petal trumpet or bell flower beads. These Czech pressed glass flowers measure 11mm x 13mm and would make great additions to your jewelry creations! Approx 24 beads per strand. Many uses for these lovely flowers!